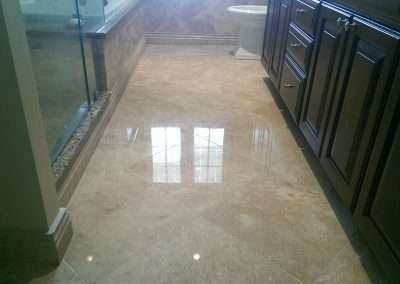 For over 17 years, Specialized Floor Care Services has been providing our clients with the most reliable and professional marble floor polishing, marble and granite countertop cleaning, polishing, and repair, shower floor leak repair and tile grout cleaning, Limestone, and Travertine floor cleaning, sealing, polishing, and repair. We are located in Taunton, Massachusets and serve the residential and commercial sectors in Eastern Massachusetts, Rhode Island and parts of New Hampshire. 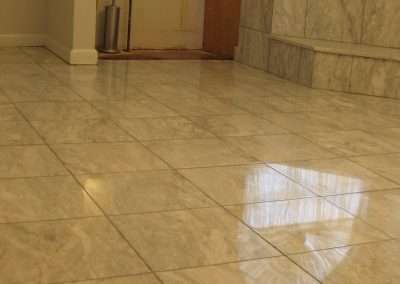 Our goal is the earn the appreciation and trust of each client by providing prompt and reliable marble, limestone, travertine, granite, tile, grout, and shower cleaning and repair services. Custom tiled showers provide a home with a comfortable and roomy place for one to unwind and remove the stress of a long day. Proper construction of a custom tile shower and care can provide many years of enjoyment. 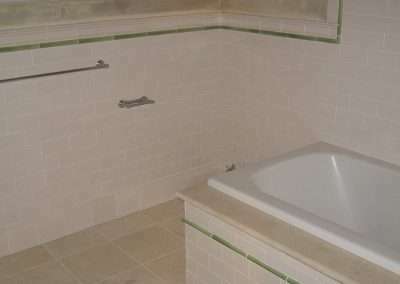 Custom tiled shower system construction, remodeling, and repairs of leaky shower floors is one of our specialties. Marble Polishing, Cleaning, Sealing, Repair, and Restoration of old worn marble floors, countertops or showers to their original look. 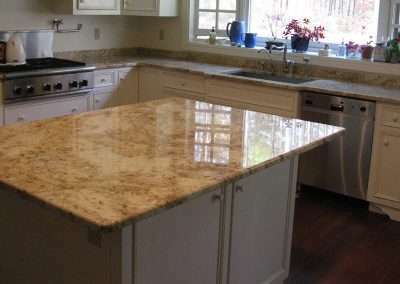 Granite – Clean, seal and repair of granite floors and kitchen countertops. 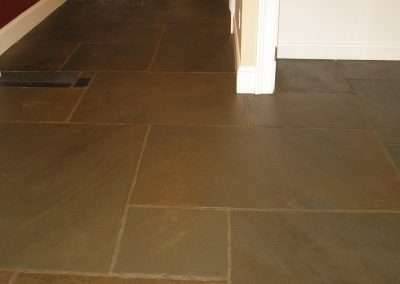 Limestone – Professional cleaning, sealing, and repair of limestone floors, showers, and counters. 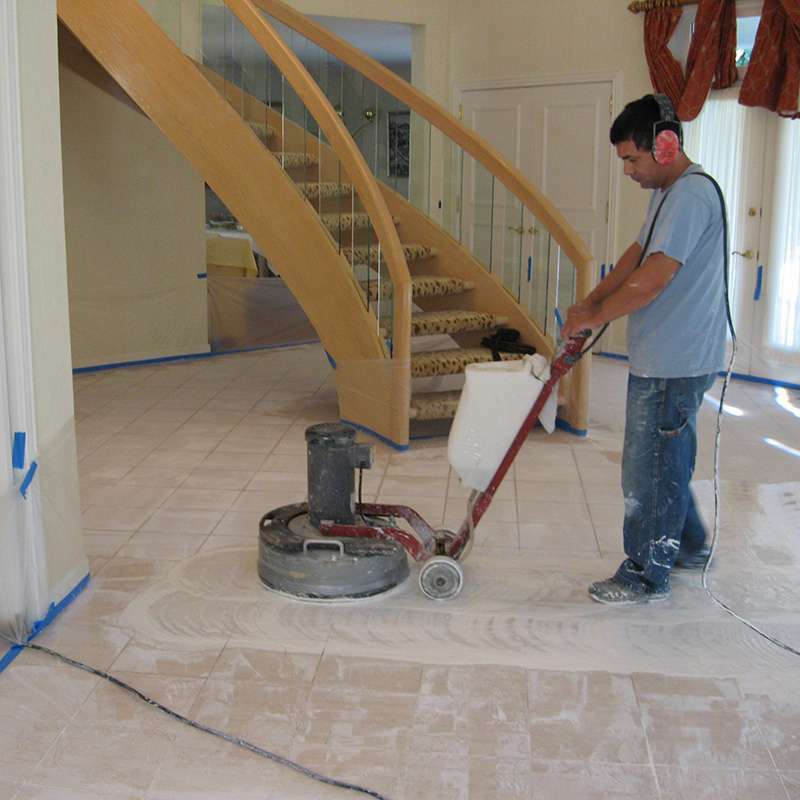 Travertine – Repair of holes on travertine and complete restoration. Cleaning – Professional cleaning of dirty soiled tile and grout. Repair – Repair of damaged or broken grout lines, replacement of loose or broken tile. Sealing Grout - Application of a penetrating sealer to help keep the grout lines clean and ease of maintenance. 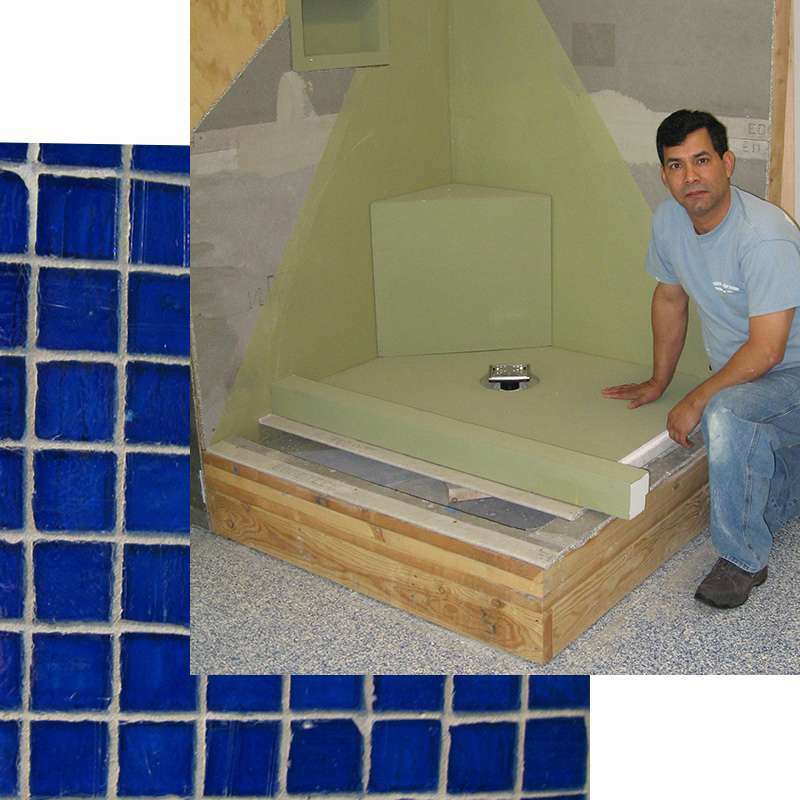 Installations – Installation of tile on floor, walls or showers. 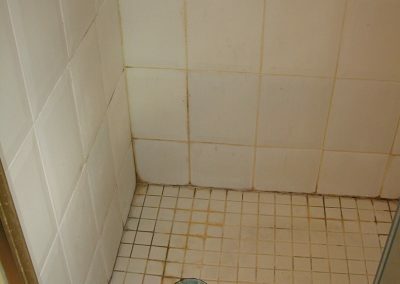 Cleaning and Sealing – Cleaning of soiled shower tile and grout lines and sealing. Leak Repair – Leaking shower pan, broken or damage shower wall tiles or shower door. Caulking – Installation of shower caulking, removal or old caulking and replacement. Remodeling – Turn your old and tired shower into a place of comfort and relaxation. Specialized Floor Care Services have received specialized training and certification from the Institute of Inspection Cleaning and Restoration (iicrc) in care and maintenance of floor systems, tile and grout cleaning, and repair. We are one of the few companies that have attended specialized training in the proper construction of Custom Tiled Shower Systems. Our clients love that we are experienced in effectively diagnosing their concerns and providing cost-effective solutions. I looked to find a contractor to fix an issue with my tiled shower. After checking with several companies, I felt most at ease with Willy at Specialized Floor Care Services due to his professionalism, his expert knowledge of probable causes, his specialty of working with tiled shower repairs, and all the positive BBB reviews. Effective marble polishing process starts with an understanding of what is marble. Marble is a natural stone that comes from the metamorphism of carbonate, sedimentary rocks. Typically, these are dolomite or limestone. During the metamorphism, re-crystallization occurs in the carbonate mineral grains. The rock that is produced through this process has interlocking carbonated crystals. The original sedimentary structures of the rock as it existed prior to this change are often destroyed or changed. Now a basic understanding of marble for everyday use: Marble is calcite which means that is made up mostly of calcium; it is very sensitive to acidic products such as vinegar containing household liquids, general purpose cleaners, and other chemicals. 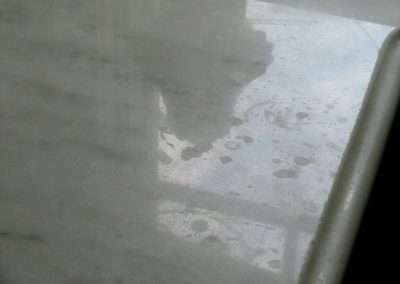 Marble is a very soft rock that scratches very easy making it a high maintenance material. The good news is that when a marble floor, marble countertop or marble becomes damaged it can be repaired or restored by using the proper marble polishing process and at a fraction of the replacement cost. 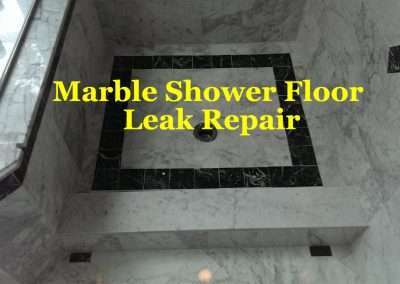 Marble Floor Inspections – The restoration company should do a visual for grout damage or cracked tiles. If there are broken tiles or broken grout lines, this is an indicator of possible faulty installation. Cause of surface damage, most of the damage is caused by daily traffic, furniture movement and improper cleaning products and or cleaning products. Marble Counter Top – Surface damage on marble countertops are mostly caused by household cleaning products. In the bathroom, toothpaste and bathroom cleaning products cause etching, in the kitchen citrous or vinegar based products will also cause etching. Vacuum marble floors to pick up any sand or debris. Strip off any waxes previously used. Use a neutral ph non rinse marble cleaning product to safely clean marble. The restoration process may involve grinding, honing and polishing the marble surface. Most floors only require light honing and polishing. This is depending on how much or how deep the scratches on the floor or counters are. Marble Honing – This follows grinding. It is used to remove the scratches caused by the grinding process. Final Marble Polishing – This is the fun part for a marble polishing company. It is the final step. If the grinding and honing was done properly, this final step should render a like new polish look. 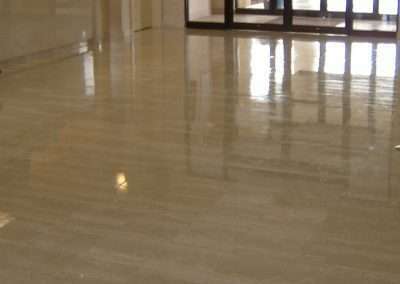 Sealing Marble– It is recommended that an application of stone penetrating sealer is applied after restoration or polishing of marble floor or countertop. Proper marble restoration and refinishing process should be conducted by an experienced marble polishing company or professional. They have the know-how and the right equipment and supplies to effectively refinish dull and worn marble surfaces. Do you need help with your marble? Our shop is located in Taunton, MA and serves all areas of Rhode Island, Eastern Massachusetts, and areas of New Hampshire. Providence, RI, Cranston, Warwick, Narragansett, Cumberland, North Kingston, Attleboro, Johnston, Barrington, Newport, Jamestown.